Girl Scouts of Western New York is proud to announce Victoria Wittmeyer of Boston, NY, as a 2018 Gold Award Girl Scout. Wittmeyer’s project, Future Careers Week, was designed to help kids connect with professional people in the community and ask questions about their jobs. Wittmeyer’s project concluded in a week-long summer program for the kids in the Seneca-Babcock area of Buffalo. Each day of the week was a different career focus. Monday featured doctors. Tuesday showcased veterinarians. Wednesday highlighted construction. Thursday focused on firefighters. Local professionals from each career spoke to the children in attendance about their work. 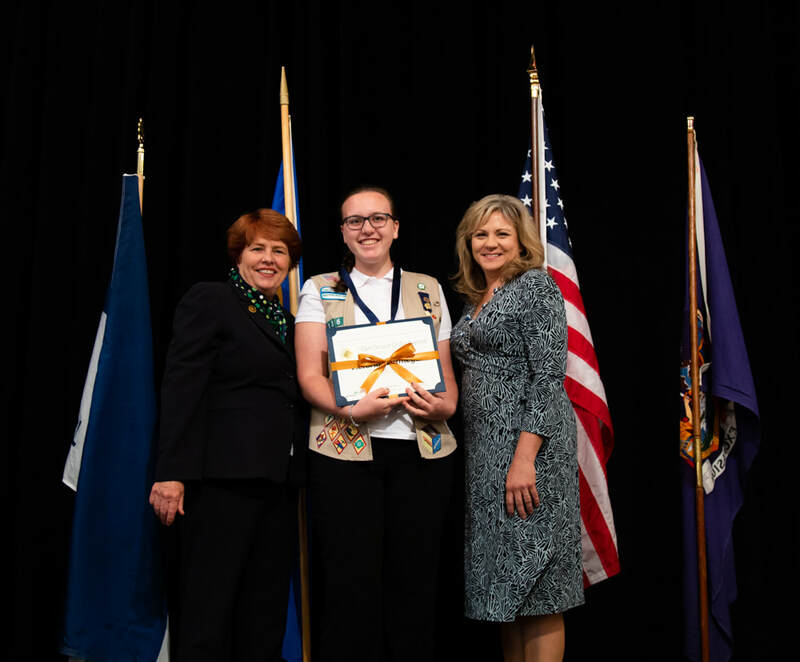 Wittmeyer received her Gold Award at the Gold Award Ceremony on June 2, 2018. The Gold Award is the highest award in Girl Scouts. The Girl Scout Gold Award, the highest honor a Girl Scout can earn, acknowledges the power behind each recipient’s dedication to not only empowering and bettering herself, but also to making the world a better place for others. These young women are courageous leaders and visionary change makers.